A stand-alone building is a great choice for multiple dentists or oral surgeons. Typically, these practices are well established and are looking to control more of their remodel and build process. There is usually more room for additions or amenities for your patients and staff. 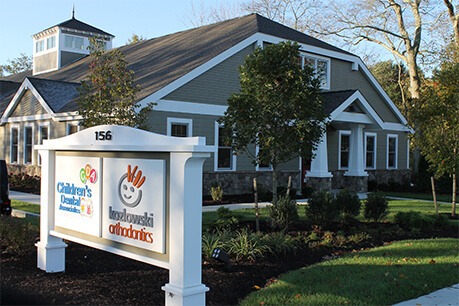 Future expansion is always on the mind of successful dental practices, and we worked with one that was already bursting at the seams. We needed to design new construction with expansion already on the mind before we even turned over the first shovel of dirt. Additionally, we were tasked with creating a law office inside the building that would be able to access common areas in the back of the dental practice. Is HJT able to identify separate spaces for confidentiality of the law clients and the dental patients?